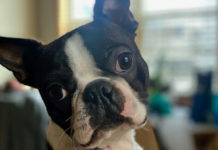 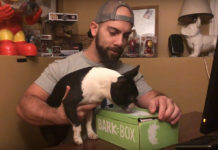 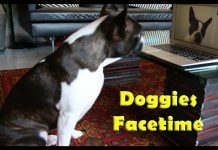 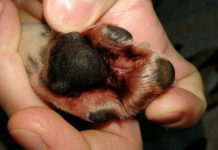 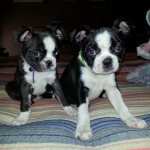 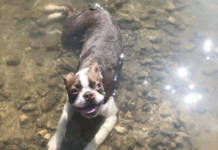 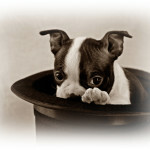 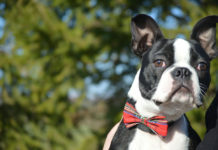 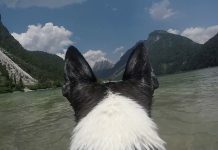 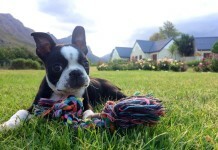 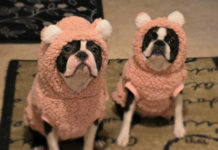 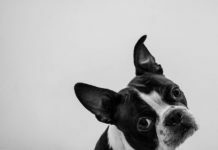 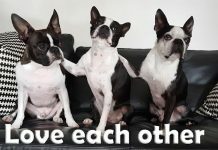 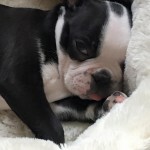 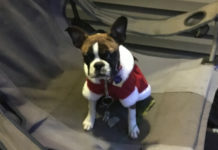 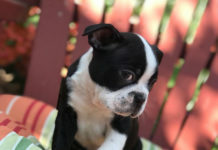 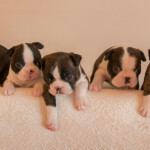 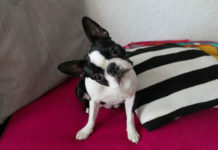 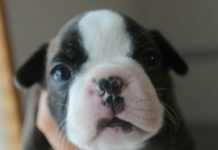 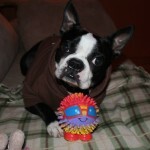 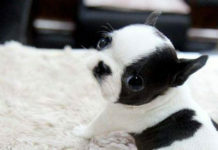 Here is a photo of a boston terrier named Romie at 7 weeks old from Richmond, Quebec, Canada. 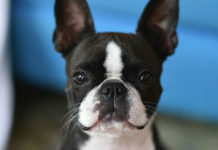 Romie was photographed in her owner’s studio. 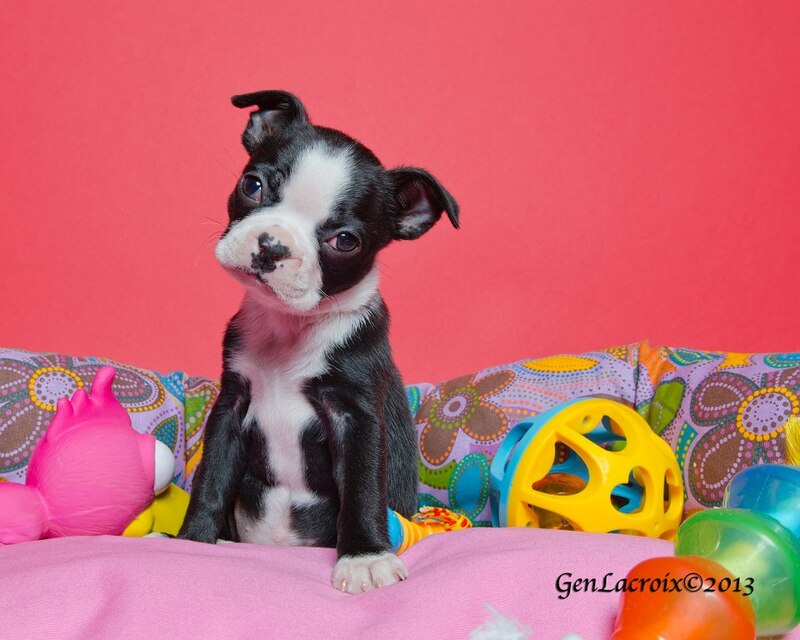 She’s head tilting!